Adelaide retains a resilient cluster of colourful second-hand and antiquarian booksellers who, driven by a labour of literary love, have defied the contemporary threats to the industry. And their stories suggest the printed book is far from dead. In the 1960s, John Scott was “knocking around the north of England”, living across the park from Leeds University “with a bunch of scruffy university students who were straight out of The Young Ones”. In his job as a garbage man in an affluent part of town, he often came across treasures – including Victorian furniture and valuable books – which had been discarded by householders and would be picked up and sold by the canny rubbish collectors. “I started taking books to a big bookstore near the university and I was making more money from totting, as we used to call it, than I was from wages,” Scott tells InDaily at his New Morning Books store in Adelaide’s East End, surrounded by almost 40,000 books crammed into every available bit of shelf – and floor – space. “There was a very good bookshop not far from Leeds University and, very conveniently, directly opposite the pub where I used to go for lunch. After he emigrated to Australia, Scott ran university campus bookstores, then had a company representing book publishers. Towards the end of the 1980s, suspecting that computerisation would be the death knell for his business, he started looking for an alternative. “Then one day a box of samples came from one of the publishers I represented and the first book, when I opened the carton, was How to Run a Used Bookstore. Scott opened New Morning Books in Norwood with around 8500 books, then moved around several different locations, most recently Unley Road. Now he is happily ensconced in premises in Frome Street, where his artist wife Janet Bridgland has a studio upstairs. New Morning Books stocks an eclectic collection of fiction and non-fiction, both classic and contemporary – Scott even keeps a small shelf of old westerns for the occasional elderly male customer who asks for one. “Like any small business we’ve had a lot of ups and downs, but we’ve had more ups than downs, particularly in the last 10 years,” he says. 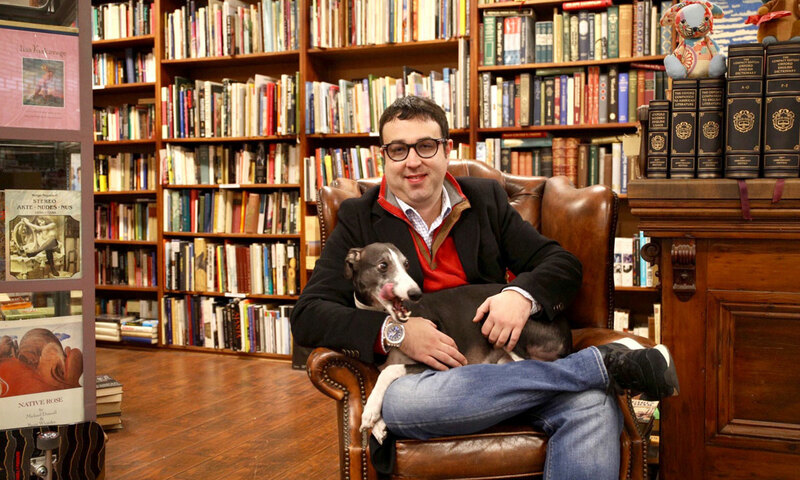 Across Adelaide in Station Arcade, with faithful whippet Oscar by his side, Ben O’Connell sits in a Chesterfield chair once owned by his grandfather Reg – the founder of O’Connell’s Bookshop – recalling his early experience of the book business as a schoolboy. “I used to come and meet him [his grandad] after school. I’d hang around the shop and then we’d go to dinner at Rigoni’s or somewhere like that on Leigh Street. 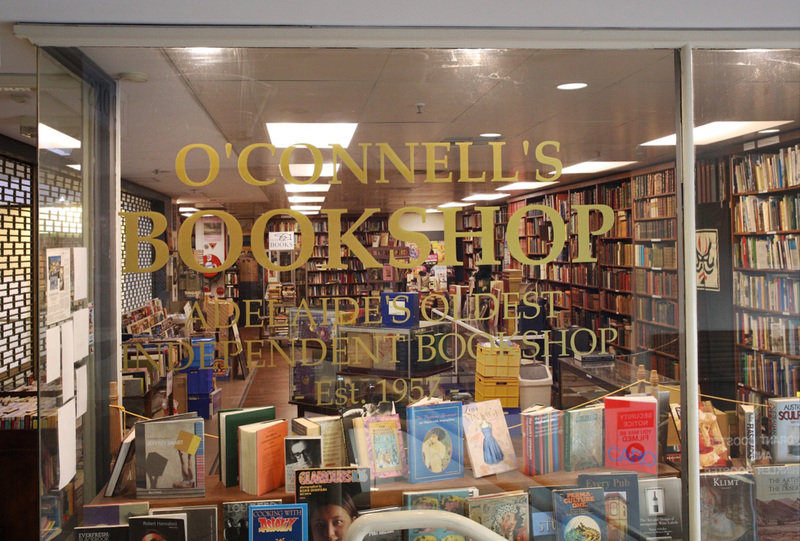 Considered the oldest antiquarian and second-hand bookshop in Adelaide, O’Connell’s started life as a kiosk in the Central Market just over 60 years ago and has occupied a number of different premises, including in Leigh Street and Hindley Street. Along the way, the floor space has kept getting bigger and the range of books has grown. Today, it sells everything from books about metaphysics, military history, philosophy and pop music, to zombie novels, crime and classic English literature; in the window, books on artists Jeffrey Smart and Robert Hannaford sit alongside Cooking With Asterix and a 1970s publication about Japanese pop culture stars. Ben, who took over the management of the shop from his parents, has also introduced graphic novels to the shelves in more recent years, while other prominently displayed books – such as those on Japanese art – reflect his personal interests. “We’ve got customers who have been coming here [to O’Connell’s] since the ’50s,” he says. “What’s lovely is that almost daily a customer will come in and remember my grandfather to me and have a little anecdote about him or something about the old shop in one of the locations. O’Connell says business has always been robust, and the move a few years ago from Hindley Street to the upstairs space in Station Arcade – which is bustling with commuters – led to a marked increase in the number of customers. While there’s a common belief that younger generations don’t read books – or printed ones, at least – he says this isn’t borne out by his experience, with O’Connell’s book buyers crossing all demographics and ages. 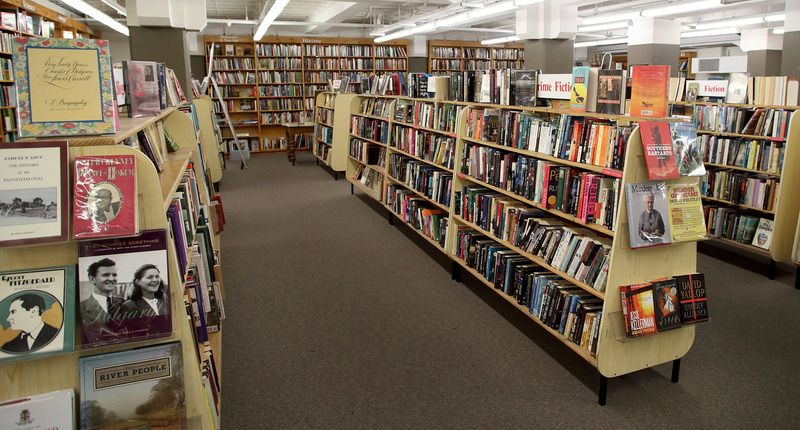 “I’m in here six or seven days a week and all I see is people buying books. “Interestingly, I find often it’s older people embracing the carrying around of an iPad through the city rather than younger people. There are also, John Scott says, some more unusual customer requests. “I’ve had everything in my day. Scott did notice a pronounced drop in the number of young book buyers around the turn of the millennium. Since then, however, it’s bounced back. “My clientele was about 60 per cent retired people but now at least a quarter of them are people in their late teens and early 20s, and they are the generation that was brought up on Harry Potter. 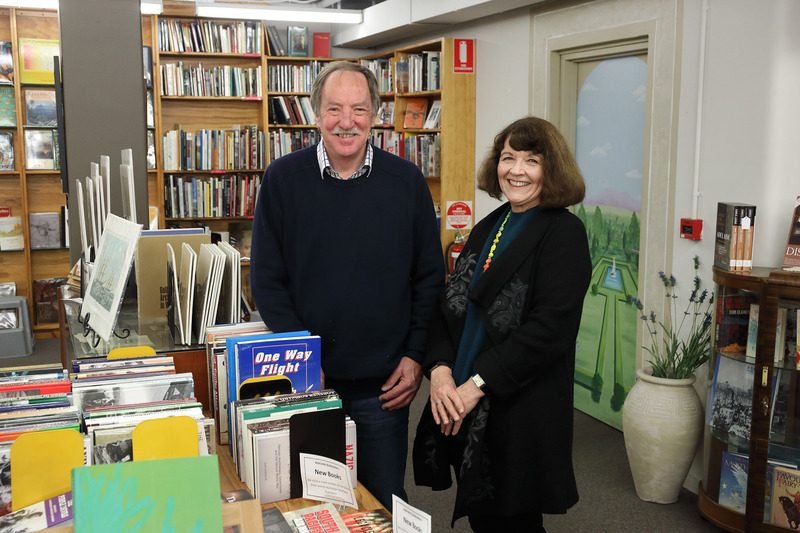 At basement bookstore Adelaide Booksellers, off Rundle Mall, owners Colin Williams and Mary Kosiak have also noticed a rise in the number of young customers. “It’s really lovely to see,” Kosiak says. “The book is not dead. Adelaide Booksellers has something of a library feel to it, with well-organised shelves and a careful cataloguing system for its vast collection of mostly non-fiction titles, which range from $3 bargains in the “suitcase special” to limited-editions titles worth several thousand dollars displayed in glass cases. Having previously worked as public servants, Williams and Kosiak bought the shop in 1997 from Len and Lesley Woodley, who had established it in 1978 as a sideline to their business Standard Books (the forerunner to Dymocks). Back then Adelaide Booksellers was located in different premises, upstairs at 6a Rundle Mall next to Haighs, and the process by which the pair came to take it over says much about the nature of the second-hand book business. “We were headhunted,” Kosiak says, laughing. “Len and Lesley had the business and they cherished it… they wanted to divest of it but they weren’t prepared to let it go to just anybody. They had a mate who was a shopbroker who knew us … he arranged a meeting and then we went for an interview. 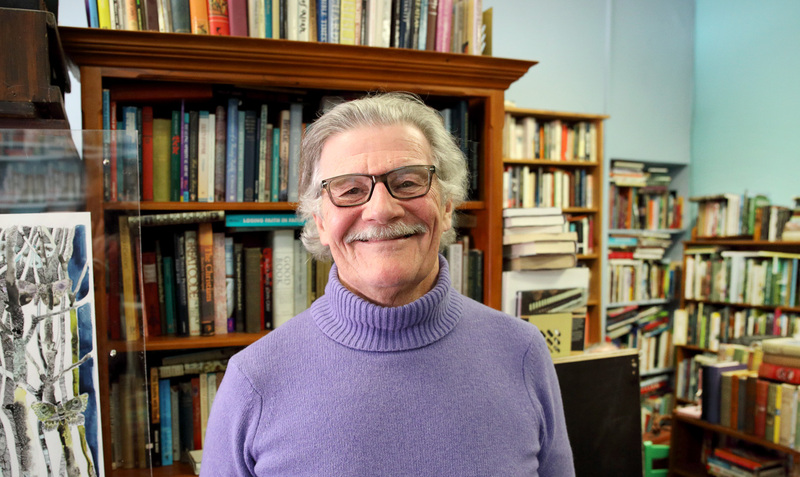 Colin Williams used to run the (now-defunct) SA Secondhand Booksellers Association, which in 2003-04 had just over 30 members, not all of whom had physical shops. Around half of those no longer exist, with another – the Antique Market Book Room, one of two shops owned by Michael Treloar – set to close this weekend (read InDaily’s interview with Treloar here). While some of the sellers simply retired, Williams believes high rents have contributed to the contraction of the sector. Online retailing is also a factor, driving down the price of books and therefore shrinking profit margins. Nonetheless, given how few new bookshops remain, an impressive number of second-hand bookshops continue to thrive – including Treloar’s North Terrace business, Michael Treloar Antiquarian Booksellers, which was established in 1976 and specialises in rare and collectible books, and suburban treasures like Blackwood Books, whose charismatic owner David Christophel passed away earlier this year. There have also been more recent additions to the landscape, such as Adelaide’s Pop-Up Bookshop, run by Kate Treloar (Michael’s daughter) and Nick Patrick, who see themselves as “crusaders for the wonderful bookshops Adelaide has lost and realised we couldn’t replicate”, and places that combine literature with café culture, like Topham Mall’s Book Nook & Bean. 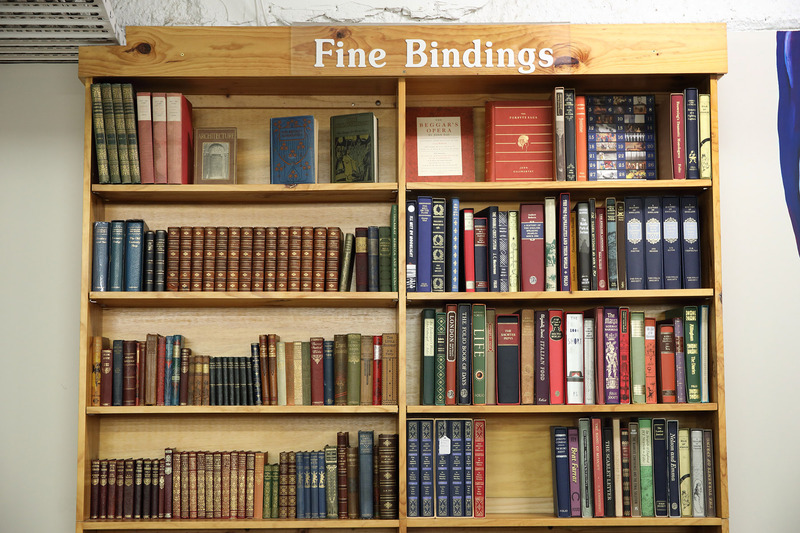 Most of the second-hand bookshops have accepted that adaptation is the key to survival, and while the internet has driven down the price of many second-hand books, it also has an upside. Adelaide Booksellers, which moved to its current Twin Street location in 2010, says online sales have grown exponentially in the past 20 years, now accounting for about 50 per cent of its sales. One factor which is probably key to the survival of the second-hand bookshops is that most are independent businesses whose owner-operators are passionate about both books and those who buy them. “The people,” says Scott, when asked to name the best thing about his work. “The people who come in here are wizards. “There are people who know everything about World War II, there are people who know everything about bees and have hundreds of books on bees. Mary Kosiak agrees, adding that there is also “the joy of the treasure hunt” to find a sought-after book – and the thrill of discovering that a rather tatty-looking title is actually a 1936 first-edition copy of Graham Greene’s Journey Without Maps worth $3000. Sometimes the excitement comes from finding notes or inscriptions hidden within the book, which Ben O’Connell says can add to its charm. “We see some lovely inscriptions. O’Connell also takes pride – and pleasure – in the relationships built with customers, believing this is an important factor in the shop’s continued success. Over the years, those customers have included some very famous faces, such as Richard Dawkins, David Attenborough and the Red Hot Chili Peppers (bassist Flea bought several books, including a signed first edition of Hubert Selby Jr’s Last Exit to Brooklyn). Although they love their business, Williams and Kosiak are pragmatic about the future prospects for Adelaide Booksellers, saying the physical labour involved in the job – lifting boxes of books, stacking shelves and so forth – means it is unlikely they will still be doing it themselves in another 10 years. “And I doubt you’d get anyone to buy a bookshop now,” Kosiac says, citing high rents for retail premises and the narrowing profit margin on second-hand books. Ben O’Connell is more confident about O’Connell’s Bookshop, especially given the success of its move to the Station Arcade. Over at Good Morning Books, John Scott predicts the industry will face a period of “contraction followed by stability”, but he’s certainly not planning on retiring any time soon. “I would hope and expect that 50 or 100 years from now there will still be second-hand bookshops like this in Adelaide. “We’re very happy here and I hope to be here for many years to come.